Award Winning Accommodation, centered around a traditional Ulster farmhouse, on 180 acres of lovely Fermanagh countryside, yet just outside town. 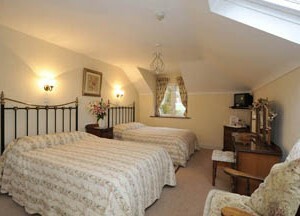 Dromard offers friendly, relaxed accommodation, with en suite, non-smoking rooms, which all have TV and tea-facilities. Dromard has private fishing jetties in our lovely conservation woodland with walks to the lake shore. You can find out more on our website regarding our awards for Best Ulster farm accommodation, Woodland management, Farm Conservation etc.,Sharon and Clive were top 20 finalists in the 2005 AA:Landlady of the Year Awards. Come and discover for yourself why Dromard is so special. 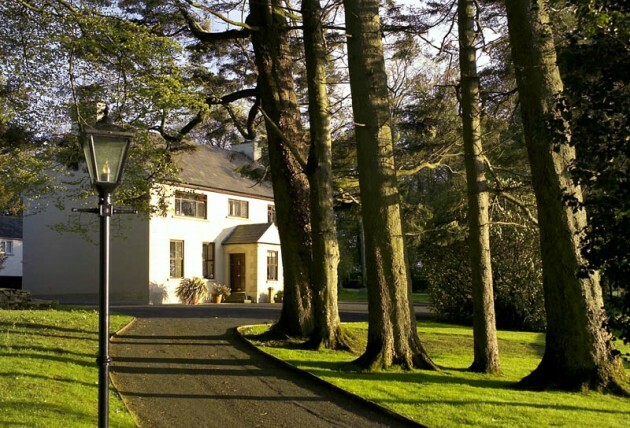 Clives’ family have owned the house and surrounding 180 acres of farm, shore and woodland for the last 150 years. To us, it is a special place, and it gives us great pleasure to share it with our guests. 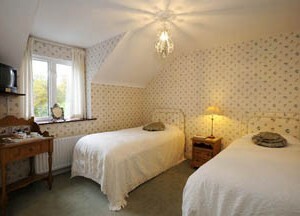 We have a guest wing, comprising of four prettily decorated en-suite bedrooms, adjoining the main farmhouse. These are all non-smoking rooms, with hospitality trays, ironing facilities, razor points, hairdryers and televisions. Breakfast is served, at individual tables, in the attractive dining room of the farmhouse and there is a small guests lounge both overlooking the garden. There is a warm and relaxed atmosphere, and our guests are welcome to walk through the woods, right to the lake shore, to relax and enjoy the lovely scenery and wildlife.